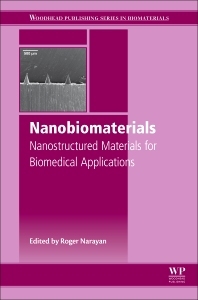 Nanobiomaterials: Nanostructured materials for biomedical applications covers an extensive range of topics related to the processing, characterization, modeling, and biomedical applications of nanostructured ceramics, polymers, metals, composites, self-assembled materials, and macromolecules. Novel approaches for bottom-up and top-down processing of nanostructured biomaterials are highlighted. In addition, innovative techniques for characterizing the in vitro behavior and in vivo behavior of nanostructured biomaterials are considered. Applications of nanostructured biomaterials in dentistry, drug delivery, medical diagnostics, surgery and tissue engineering are examined.